Our second God-daughter is Angie (name changed). She was baptized this past June. She’s an extremely bright child, although a little timid at first, but we had a lot of fun getting to know her. She is very verbal and in Kinder was already reading and writing like a second-grader. Her father always told us he had big plans of her being a doctor and possibly going to the U.S. and clearly wanted us to have some part in that. Not making any promises, I thought to myself, I’d be happy to help such a bright child succeed in life. 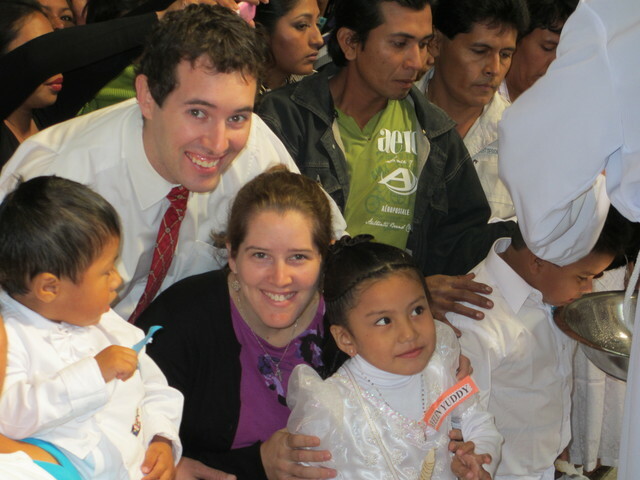 We had lunch with her and her parents a few times and helped host a small party after her baptism. The father was currently working as a barber but had worked as a grade school teacher in the past. The mom was taking beauty classes at our Institute and working in the home. The mother was a little hard to get know, however, as she is deaf in one ear and hearing-impaired in the other. She often didn’t understand what I said even if I tried yelling. She had no hearing aid, and according to the father she didn’t want to use one. Knowing that people here a little shy sometimes about seeking medical attention, I just accepted it. Everything was going well until her mom said she was going home to visit her family for a week over winter break. It seemed odd that the daughter would stay with her father for a week instead of traveling with the mom to visit family, particularly in this culture, but the father insisted Angie did not want to go. 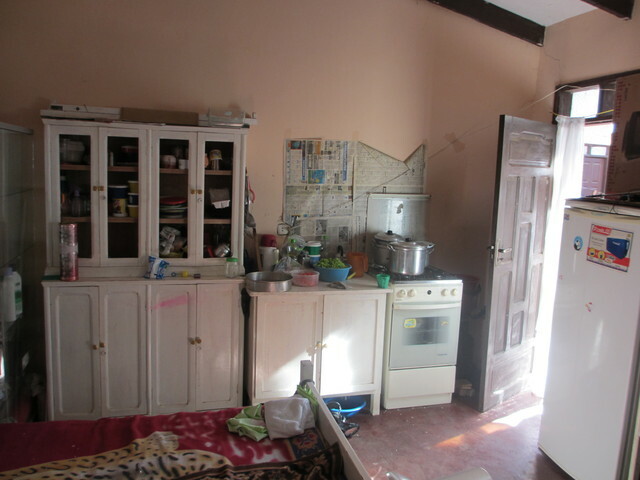 In Montero, the three of them lived in a rented room that was bed, table and kitchen all together. The mom’s return date got delayed and apparently the father got overwhelmed with working full-time and taking care of a 6-year-old, so he called us up and asked if Angie could stay with us for a few days. We said sure and brought her over to our house on Friday after school. She went to church with me, had dinner with us and I set up the spare bedroom for her to sleep in. I thought she might like having her own room for the first time but she spent most of the night crying. I tried warm milk, stories, laying next to her but it turned out to be a long night for both of us. The next day Madre Inez just happened to mention to me that she wants to talk to the husband of the Institute student who’s hard of hearing. I said, well I have his daughter here with me and he’ll be by tomorrow to get her. Madre Inez had heard from Angie’s mom that the husband was physically abusive and had made her stop going to her classes since he said she, “couldn’t do anything well.” Madre Inez asked Angie a few questions and her responses pretty much confirmed the domestic problems. She told about how the mom has other children down where her family lives and that Angie had wanted to go with her mom but the dad didn’t allow it. She told about how the dad will hit the mom whenever she does something wrong. Even if it’s just that she’s made food for lunch he doesn’t like. It painted the story of a controlling, abusive husband and we began rethinking everything we knew about him so far. After this Angie went home to her dad and the mom came back in town but a week later she and Angie skip town. The dad is distraught and comes to the kinder saying the mom has carried Angie off to the country and won’t let her finish school. Madre Inez and I finally get down to brass tax with the dad and ask him why he hits his wife and he why he thinks any woman should stay with him. The dad goes down to try to talk the mom into coming back with Angie but they just go deeper into the country to avoid him. This is a very rural part of the country with few roads and no electricity. The mom grew up in this region so she has family members that are helping them. The dad tries legal means to force the mom to come back but that leads to us getting a call from the office of child and family services. They inform us that the father is a fugitive from the law and is accused of sexual abuse. Obviously with this news any attempt on our end to put up with the father ended. He has come to the Kinder a few times asking for Angie’s report card and official papers but Madre Clara told him we’re not dealing with him anymore. He gave us some phone numbers to try contacting the mom’s family but they haven’t returned our calls. The problem is that without the correct papers, Angie won’t be able to enroll for first grade. But we only want to give those papers to the mother. As god-parents, we’ve pretty much given up hope of regaining contact with Angie, but we’ll always keep her in our prayers.